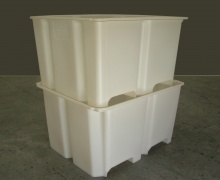 Tough Polyethylene Plastic. 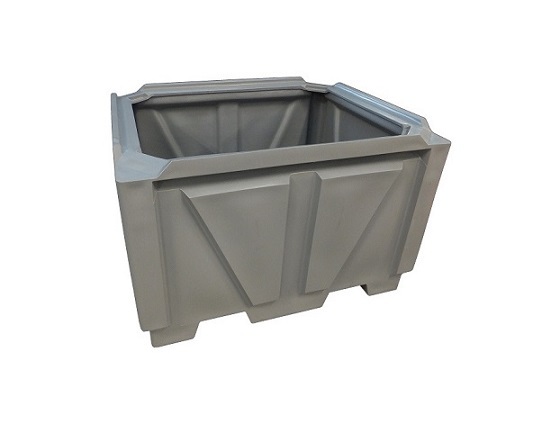 Composite materials include fibreglass and Galv steel, Strong twin skin box section top rim, Nestable & Stackable, FDA food Approval, UV guarantee. 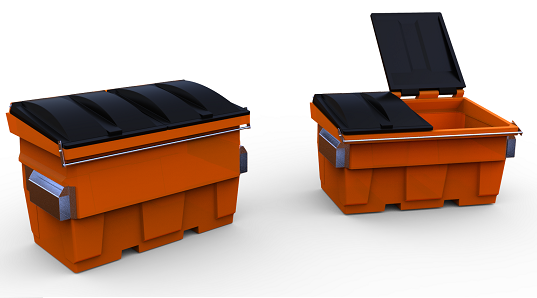 Recognized as one of the top manufacturing companies in New Zealand, Plast-ax offers customized moulding services to fit customer requirements. 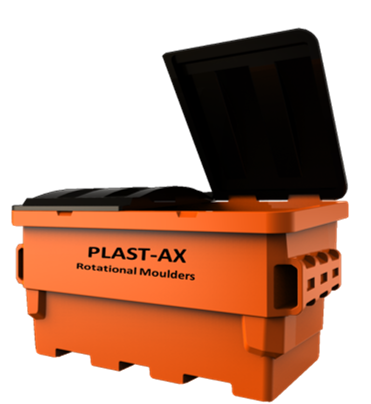 Plast-ax Rotational Moulders manufacturing plant is based is Wanganui, NZ. 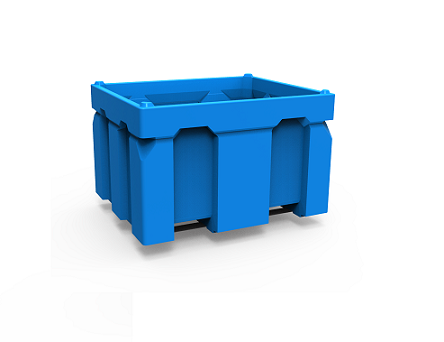 Offal & hide bins, bulk bins, box pallets, waste bins, food processing and industrial pallet bins, drums, meat tubs and dixie trays, tote boxes, IBC and drum bunds & spill pallets, play equipment, slimline water tanks and other customer related specialty products. NEW! 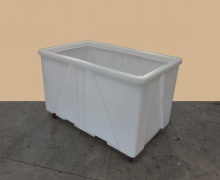 Plast-ax 1.5m3 Front End Load Bin with Lids + Castors - Only $945 + GST.